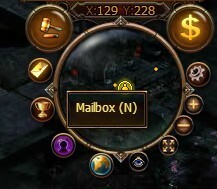 You can use the mailbox in Wings of Destiny for a variety of things, such as collecting your purchases from the Auction House, receiving system and event gifts, or staying in touch with your in-game friends. 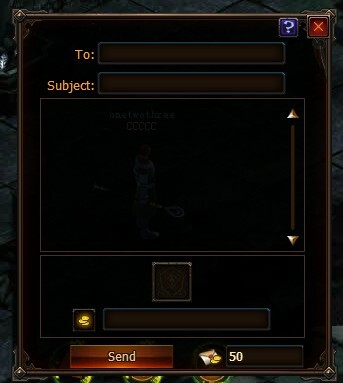 Click on the “X” icon to delete a particular mail. Deletes all mail that has been read. Collect all items attached to this message. Begin writing a new message. Empty field: Write the body of your mail. How to send Coins: Type in the amount of Coins you want to send in the rectangular field shown above. 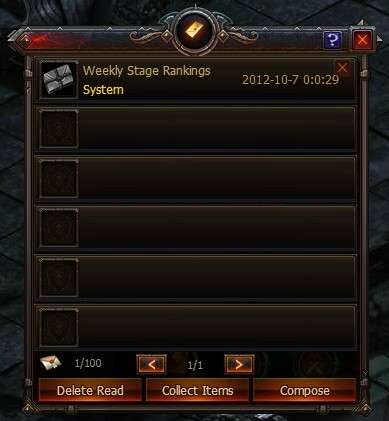 Important: Remember, Mail will be deleted automatically after a period of time, so collect any attached items right away to avoid losing them! Mail with coins attached: 5% of the amount of Coins attached.